For your next big celebration, consider hosting a party on a private chartered yacht. One of the best ways to celebrate in style, a party aboard a yacht lends itself to a fine dining experience with entertainment, gorgeous views, intimate settings, and activities for all attendees. Celebrate your next special occasion aboard a private yacht. A private dinner cruise with family and friends against the backdrop of the Hudson River is the perfect way to celebrate memories of your wedding day – whether it was five, 30 or 50 years ago. Rather than surprise your spouse with a candlelit dinner for the fourth year in a row, wow your partner with a yachting experience they’ll talk about for years to come! One of the most anticipated birthdays of their lives, teenagers dream of the perfect Sweet Sixteen party with all of their friends. Make your child’s Sweet Sixteen dreams a reality by throwing the party of the year on a private yacht! Elegance and luxury are the icing on the cake of a private yacht party, and with the freedom to plan themed events and entertainment – along with the perfect menu – you’ll be the envy of all who attend. Consider chartering a yacht for every special occasion. Do you know someone who is turning 21? How about 50? Throw them a surprise party with their closest friends and family members on a yacht. Imagine the look on the guest of honor’s face to find themselves standing aboard a private yacht as everyone yells “surprise!” in cheerful unison. For countless years, you have put in hour after hour at your place of work, and now the time has come to put it behind you and enjoy retirement. When that time comes, commemorate the occasion on a NYC yacht. Invite your former co-workers, family members and friends to join you in remembering your past years of employment and your future to come. Graduations bring multiple reasons to celebrate. For high school graduates, the door to the future is wide open, a canvas of opportunity lying before them, ready to paint as they see fit. For college graduates, the world has become more real and the job hunting begins. Graduate school grads have earned specialization and recognition in fields they love, and now embark to pursue their passion in a career. After years of tireless work and determination, graduates need a reprieve and a chance to celebrate their hard-won success, and a chartered yacht is the perfect way to go. No matter the occasion, Metro Yacht Charters offers the finest yachts in the tri state area—perfect for an intimate group of 20 guests, or a grand event of 1000. 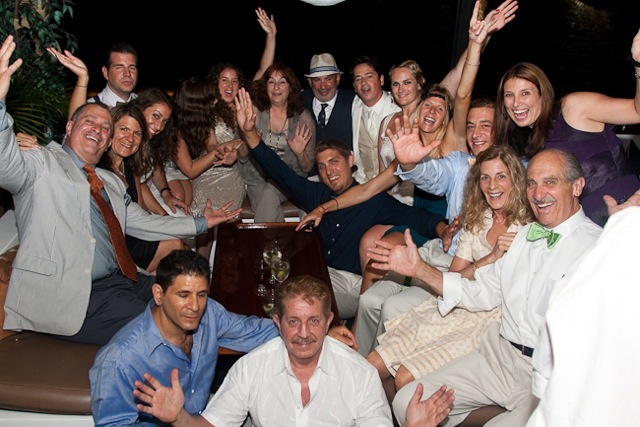 To start planning your next Milestone Celebration, give us a call today at 646-780-9693.